Is this the ideal market environment for my strategy/setup? Am I confident this specific stock is one of the best opportunities available? What is the exact amount of risk I should allocate to this trade? To help answer these questions in a repeatable and reliable fashion, we've developed a set of automated trading tools that can help save you time and trade more profitably. Find out more about them below. The MHD is a systematic market risk model that measures the health of the US stock market. 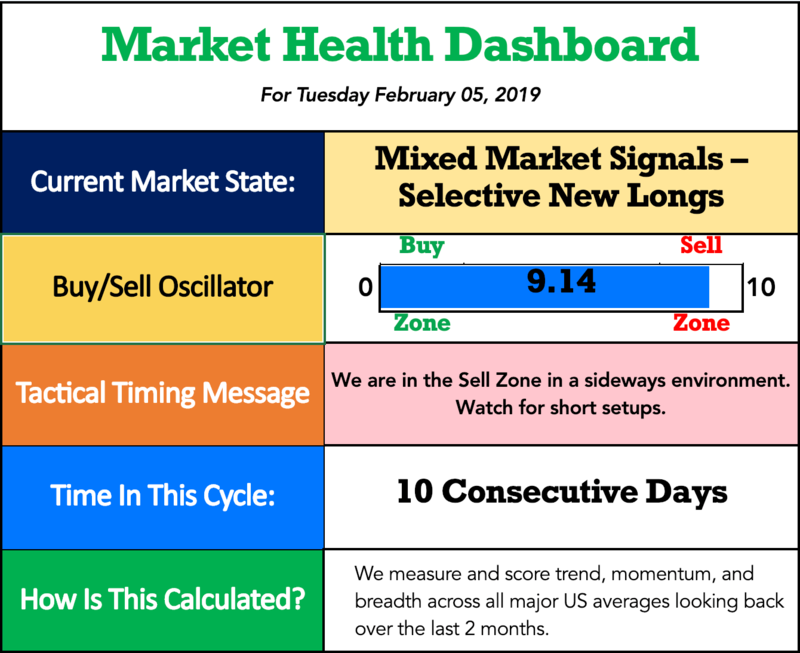 It analyzes and scores trend, momentum, and breadth across multiple time-frames and outputs a single and easy to understand market state. There's also a buy/sell oscillator that measures how extended the market is in the near-term which is designed to be used in combination with the market state to highlight trading opportunities and risks. This dashboard is the perfect resource to have in your back pocket to make sure you are taking advantage (or protecting yourself) from current market conditions. Currently, the MHD is only available as part of our Tactical Price Momentum strategy. Every week we run a through a series of custom scans used to identify top-performing market leaders. Our scans focus on relative strength, long term trend, and a fundamental growth profile. 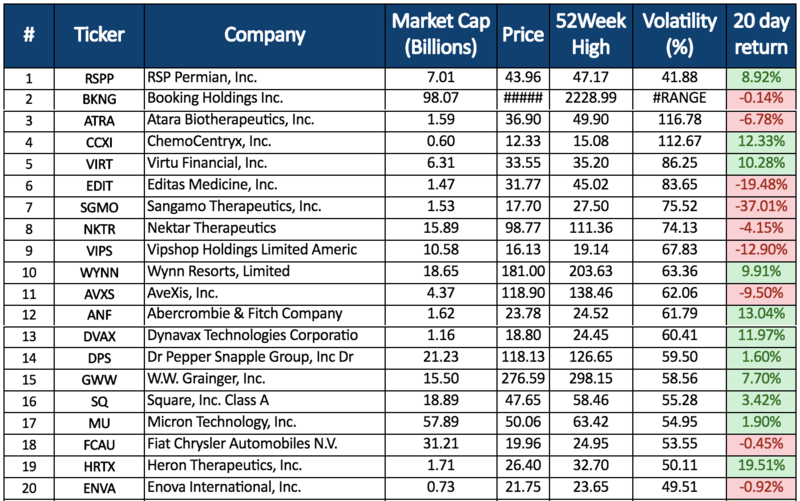 We call this a leadership watchlist because the stocks on this list are the ones pushing the market higher and holding up best in the face of broad market volatility and declines. We typically have anywhere from 50 to 100 names on this watchlist at any given time. If you’re looking for a fresh and consistent source of quality swing trade ideas and setups every single week, this is it. This isn't your basic (stop - entry) = position size calculator. The Trade Risk's position size calculator is a bit more sophisticated and is designed specifically for swing and position traders. The purpose is to leave you with a meaningful yet responsible amount of exposure in your trades so that you can sleep easy at night. An absolute time saver and a must-have resource.